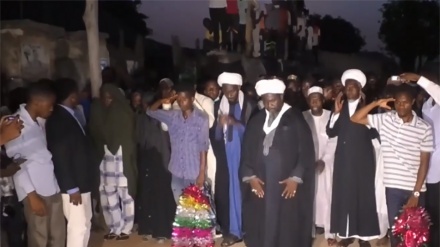 Nigerian Muslims once again rallied in the capital of Abuja demanding the release of 65 years old top Muslim cleric Sheikh Ibrahim Zakzaky after his health situation going worse in the prison. Iran Press/ Africa: The leader of Islamic Movement in Nigeria (IMN) Sheikh Ibrahim Zakzaky imprisoned since December 2015 following Nigerian army troops deadly raid on his residence in the country’s northern Kaduna State. During the raid in the Zara city more than 300 of Zakzaki followers and three of his sons were killed. Also hundreds of his followers and his family and relatives including his wife had been beaten and tortured savagely then arrested. Sheikh Zakzaki and large number of his followers have been kept in custody ever since, Iran Press reported. 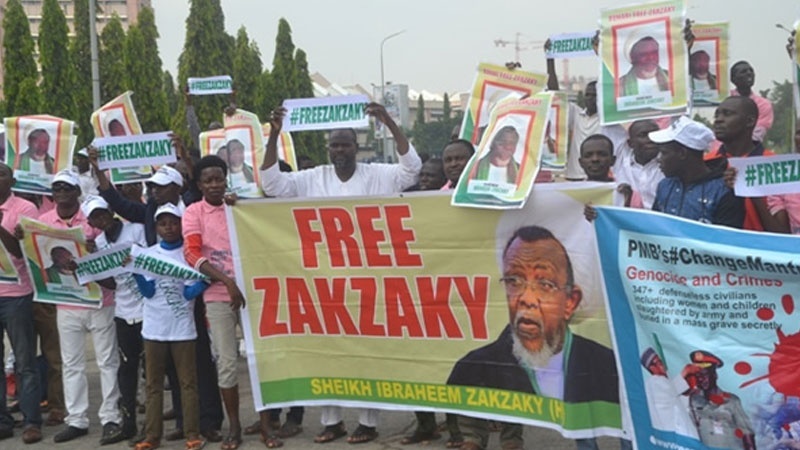 On Saturday participants in the "Free Zakzaki Campaign" demanding justice for the leader of Islamic Movement in Nigeria chanting slogans in support of Zakzaki and insisting on his immediate release from prison. 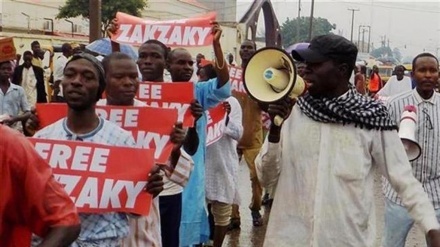 Protest rally for Zakzaki’s freedom organized after Kaduna city court ruled earlier this month against his immediate release on bail due to his deteriorating health that requires urgent medical care outside prison. Video Shows Islamic Movement in Nigeria (IMN) held protest in Abuja, calling for release of Sheikh Zakzaki on Jun 21, 2018. Sheikh Ibrahim Zakzaki is in jail while in 2016, Nigeria’s federal high court ordered his unconditional release from jail following a trial, but the government has so far refused to set him free. Zakzaki was charged for unlawful assembly and disruption of public peace, allegations that rejected by Islamic Movement of Nigeria (IMN). IMN spokesman Ibrahim Musa, emphasizing that Zakzaki should have been granted bail due to poor health and if government keep him in jail, protest will continue in Abuja and across country. Last month, Nigerian security forces opened fire on IMN members in the capital Abuja, leaving 47 people killed. A judicial inquiry after the 2015 brutal raid concluded that the military had killed 347 IMN members in Zaria. Soldiers buried the bodies in mass graves to remove any proofs. Several international organizations and human rights groups have denounced “the Zaria massacre".